Creating a larger driveway from pavers, whether you need it wider or longer, provides an attractive alternative to concrete drives. Choose pavers that complement the other masonry found on your property, such as the bricks on your home, the concrete pavers of your patio, or the paving stones of the walkways around your home. Tying the paver driveway extension into your existing landscaping allows the driveway to improve your home's appearance while also serving a utilitarian purpose. Measure the height of the concrete pavers. Add 8 inches onto this measurement for the base material. Dig out the driveway extension area to the depth indicated by your measurements. Dig the area 6 to 8 inches wider than the desired edges of the extension area. Drag a board across the dug-out area to level it. Spread 6 inches of crushed rock over the dug-out area. Compact the rock with a plate compactor, available from home improvement rental stores. Lay plastic edge restraints along the perimeter of the paver area, setting them on top of the rock base. Secure the edge restraints in place by driving stakes through them with a rubber mallet. The restraints usually are constructed with premade holes around their edges for staking. 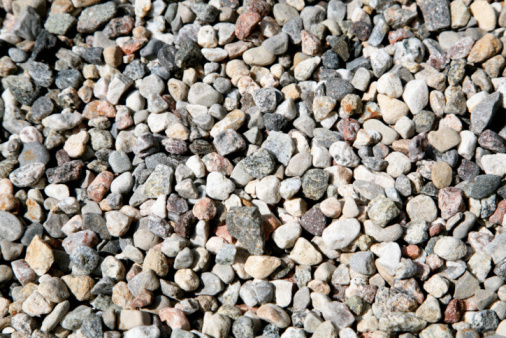 Spread a 1-inch layer of sand over the top of the crushed rock, spreading it between the edge restraints. Level the sand surface by pulling a board across the surface. Lay the pavers on top of the sand base, placing them as closely together as possible. Spread sand over the top of the pavers to fill any spaces in the joints. Sweep the excess sand off the paver surface.